This story has been updated with comment from the Postal Service. Amid a barrage of pressure from across the spectrum of postal stakeholders, the U.S. Postal Service has indefinitely postponed dozens of facility closures scheduled for later this year. USPS had planned to close 82 facilities in 2015 in the second phase of its “network rationalization,” but the fates of most of those consolidations are now in limbo. The Postal Service already delayed many of the closures scheduled for earlier in the year, citing winter weather concerns and the need to stabilize operations. Sue Brennan, a spokeswoman for the Postal Service, told Government Executive the consolidations will not resume until 2016. The decision to defer the next phase of the initiative was based upon operational considerations, Brennan said, "and was made to ensure that the Postal Service will continue to provide prompt, reliable and predictable service consistent with the published service standards." In each of the last two sessions of Congress, lawmakers in both parties pleaded with postal management to postpone or delay the consolidations, which would have cost thousands of jobs and essentially eliminated overnight delivery. 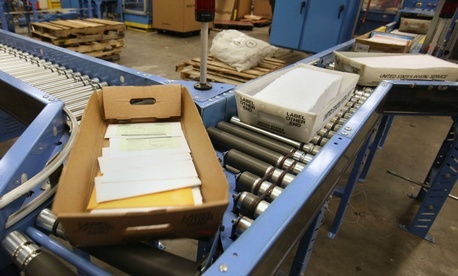 Postal unions and large mailers have fought against the closures. USPS closed 141 facilities beginning in 2012 in the first phase of its consolidation plan. The second phase was originally scheduled for 2014 but was pushed back to give Congress a chance to pass more comprehensive postal reform legislation. Lawmakers, especially those representing rural areas, have sought to delay the closures through broad-reaching reforms, by attaching amendments to appropriations bills and with letters to postal management. Last year, the consolidation schedule was a major sticking point that helped prevent a sweeping overhaul from moving forward in Congress. Earlier this year, senators passed a non-binding amendment to the fiscal 2016 budget advising the Postal Service to delay the facility closures scheduled for 2015. Sen. Heidi Heitkamp, D-N.D., has led the charge against the closures, and recently held a meeting with Postmaster General Megan Brennan to discuss rural issues. USPS had dates set to shutter each of the remaining phase two facilities, but in the most recently updated, publicly released schedule, the dates for 68 of those plans have been changed to “TBD” -- to be determined. The new round of consolidations has caused outcry from customers and unions that say service standards have been negatively impacted even more than anticipated. The first phase is saving $865 million annually, USPS has said, while projecting the new round of cuts will generate an additional $750 million in savings each year.